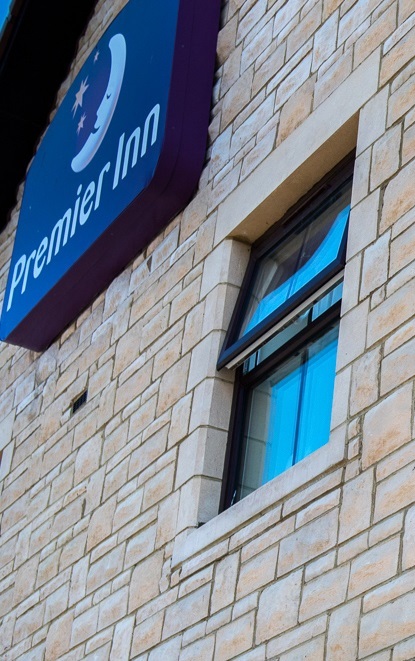 Window Surrounds can also be formed using traditionally styled inband and outband rybats, in conjunction with stooled sills, lintels and mullions from our standard range. 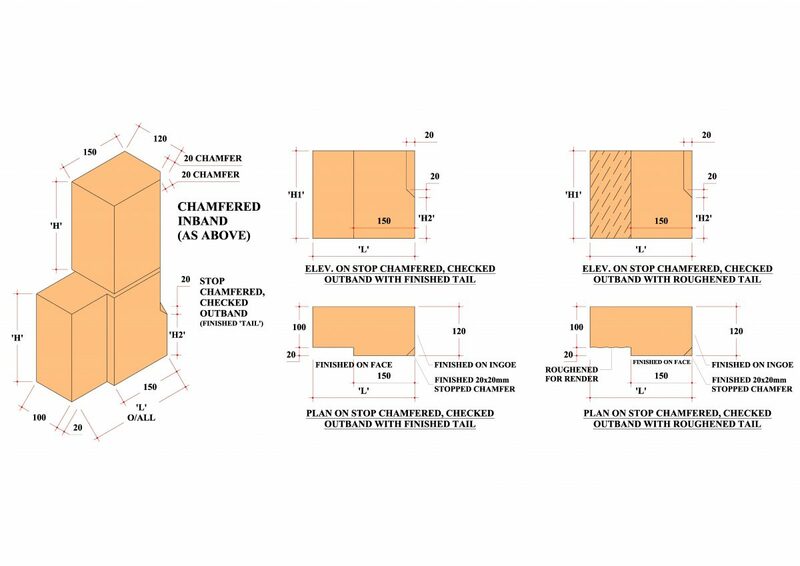 As with our jambs, these rybats are produced in two thicknesses, 100 and 120mm and can have either square, chamfered or stop chamfered corners. 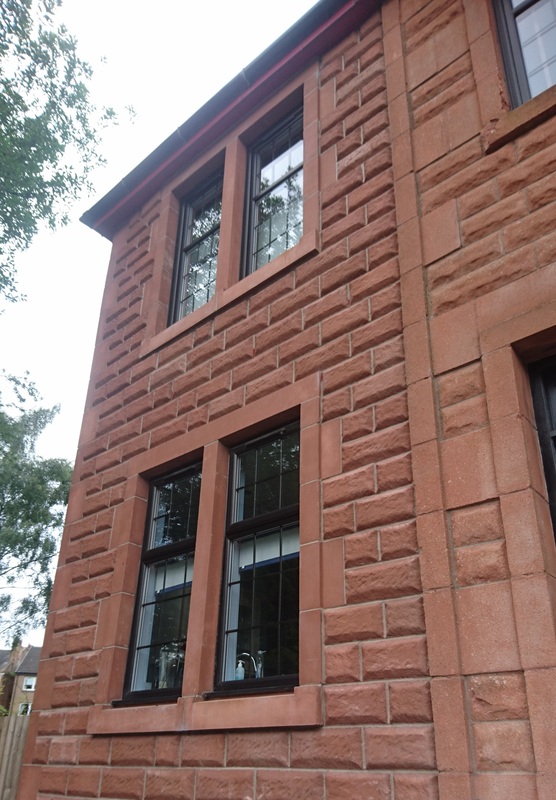 Heights are normally 215mm or 290mm to suit masonry, brick or block coursing. 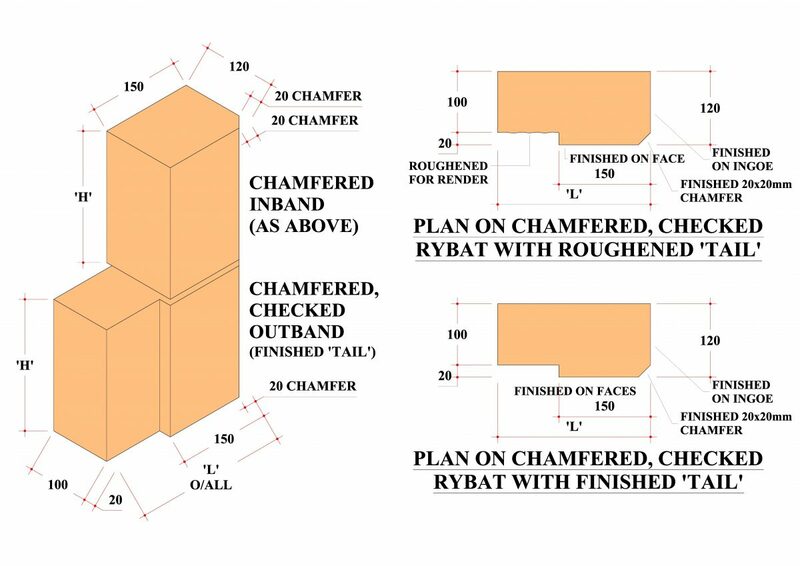 Rybats can be designed to suit individual requirements which can vary from rybats built flush with a finished masonry wall, to rybats forming a projecting surround with recessed ‘tails’ for building into the wall. These tails can either be finished, or roughened to take render or roughcast. 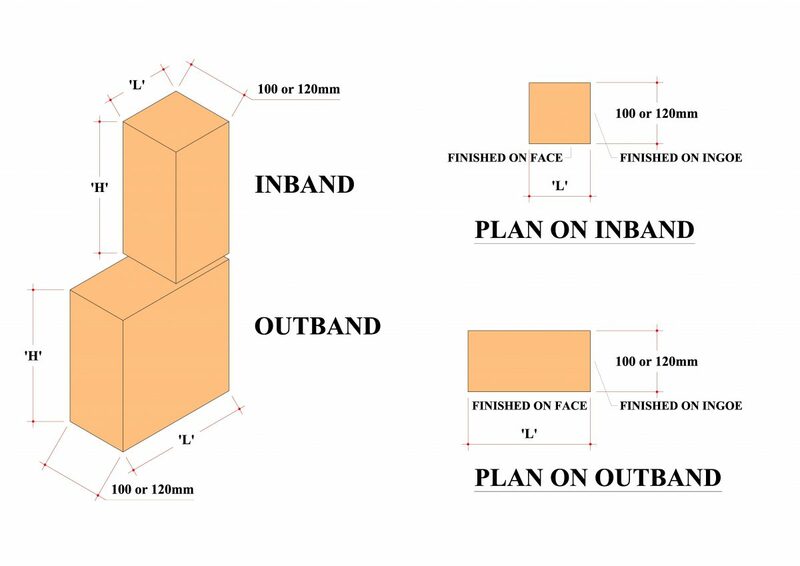 Chamfered Inband & Outband Rybats. 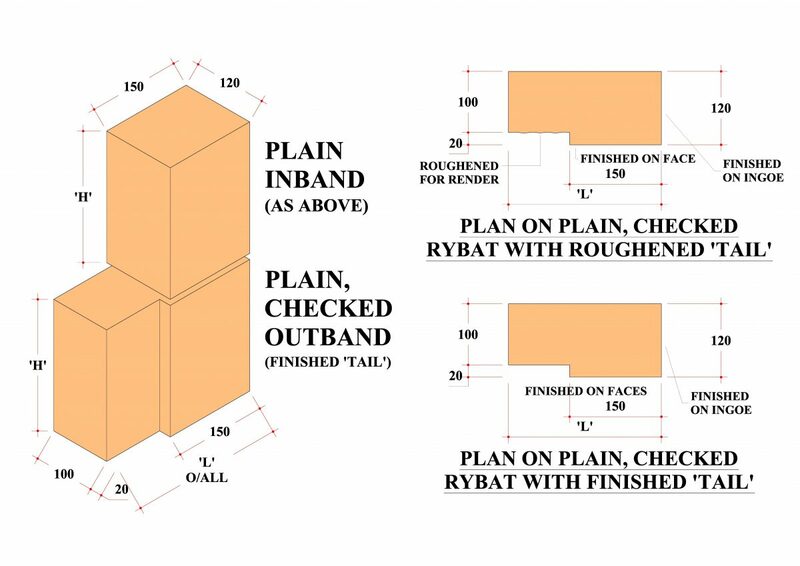 Checked Outband & Plain Inband Rybats. 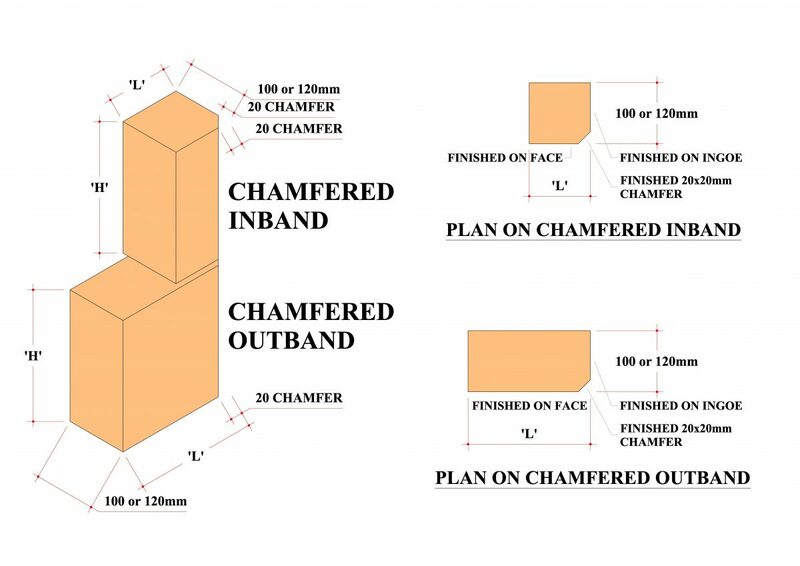 Chamfered Inband and Outband Rybats as pictured on left. Finished on flush front face and one ingoe, these rybats are supplied in lengths and heights to suit each application. 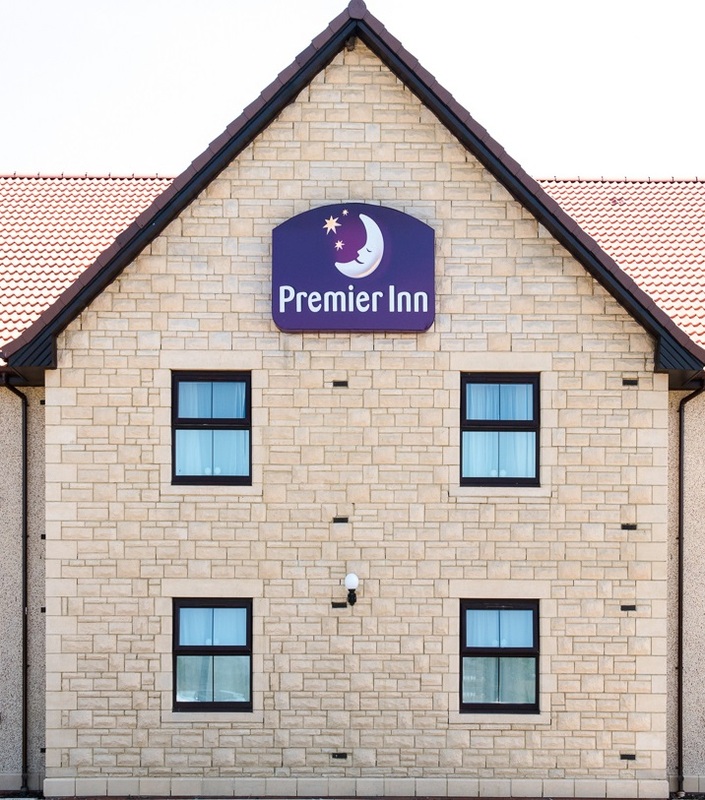 Finished on the 150mm wide projecting front face and 120mm deep ingoe, these rybats are supplied in lengths and heights to suit each application and with either a roughened tail for roughcast or a finished tail for exposed masonry. 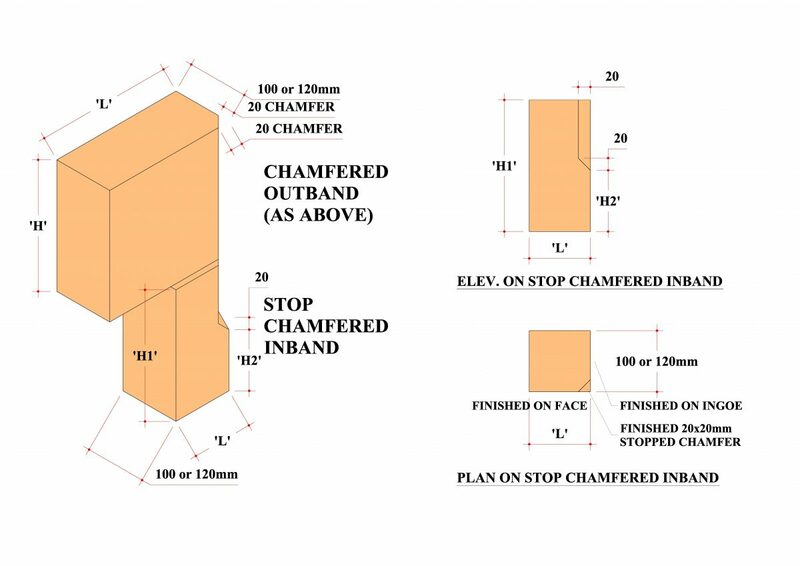 Finished on flush front face, one ingoe and 20x20mm chamfered corner, these rybats are supplied in lengths and heights to suit each application. 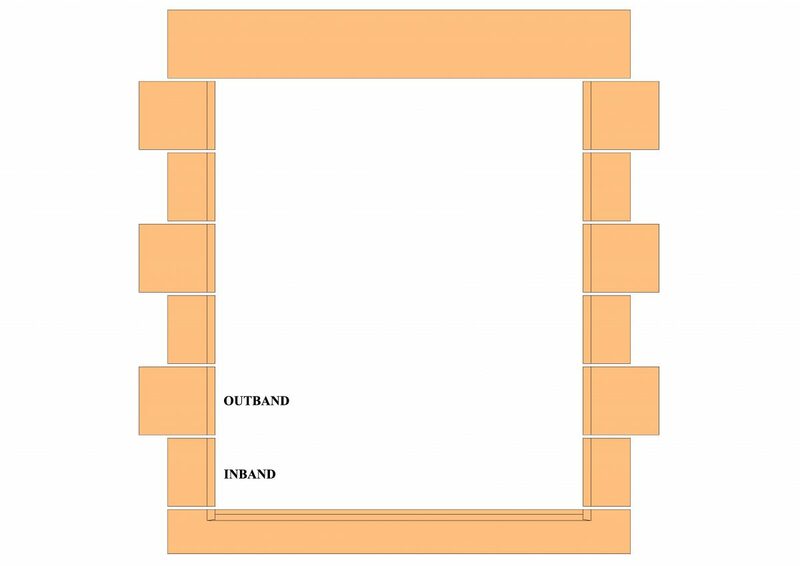 Finished on the 150mm wide projecting front face, 120mm deep ingoe and 20x20mm chamfered corner, these rybats are supplied in lengths and heights to suit each application and with either a roughened tail for roughcast or a finished tail for exposed masonry. Finished on flush front face, one ingoe and 20x20mm chamfered corner which tapers off, these rybats are supplied in lengths, heights and detailed to suit each application. 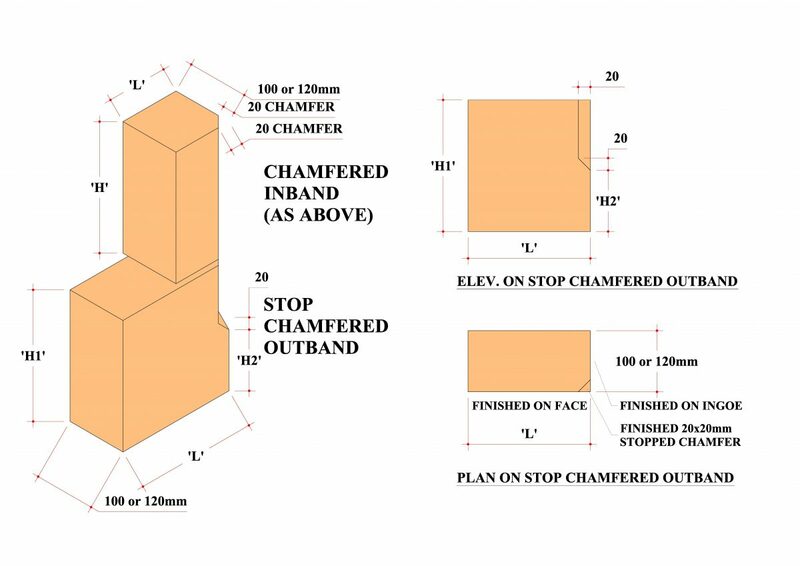 Finished on the 150mm wide projecting front face, 120mm deep ingoe and 20x20mm chamfered corner which tapers off, these rybats are supplied in lengths, heights and detailed to suit each application, with either a roughened tail for roughcast or a finished tail for exposed masonry.